ADBR series is a double branch rectifier particularly suitable when Pb flooded batteries and NiCd are required and to ensure, at the same time, a tolerance of the output voltage within +/-1%. 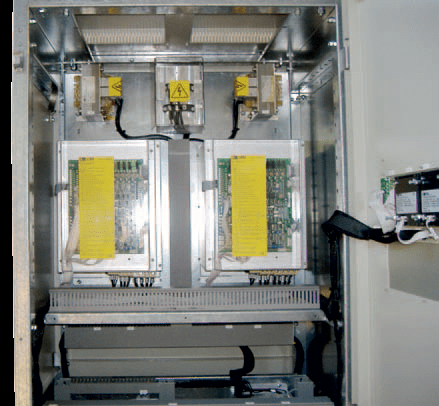 The typical characteristic of the double branch rectifiers is the physical separation of battery and load in outputs. Because flooded and NiCd need 3 levels of charge as maintenance, boost and manual charge, equalizing. During the operation the DC voltage window is wide, from the minimum battery voltage to manual charge. Too variable for connecting the load directly to the battery branch. The split outputs are mandatory to divide the charger from the load. The aim of the ADBR series is provide two SCR rectifiers one for battery charge and one more stable as DC load power supply. Battery charger we usually call "battery branch" the power supply called "system branch!. Battery branch charges the batteries by typical voltage needing, and the system branch supplies load independently to the battery with tolerance +/- 1% when mains is present (110Vdc or 220Vdc +/-1%). 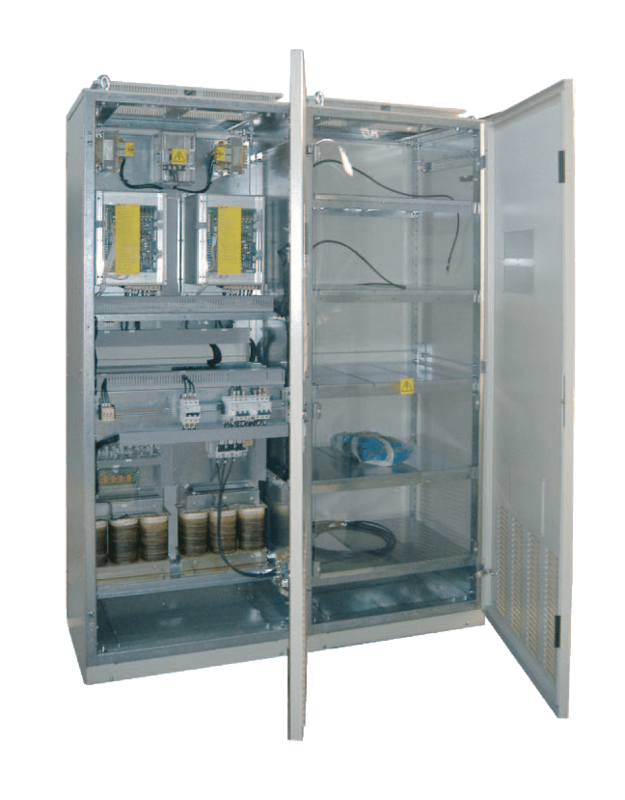 Through an appropriate change over, the battery will be connected to the load in case of failure of the mains or failure of one of the two rectifiers. ADBR rectifier series includes two units of AC/DC conversion which work independently when input power is present. The converter “battery branch” charges the battery independently from the load; contemporarily the “system branch” will independently supply the load to a voltage threshold with tolerance ± 1% from the voltage of charge the batteries. During the normal operation in presence of mains the two converters they are independent. The battery charger rectifier will charge the battery while the system rectifier will supply the load with a stabilized voltage with tolerance ± 1%. In case of total black-out of the mains or failure of both rectifiers, it’s automatically activated a sequence which provides the direct connection of load to the battery. In case of failure of the system branch it will be activated, in automatic, the exchange that will give the assignment to the branch battery to feed both the load and contemporary charge of the battery with an emergency threshold voltage Vn + 10% (adjustable). In case of failure of battery branch it will be activated, in automatic, the exchange that will give the assignment to the system branch to feed both the load and contemporary charge of the battery with an emergency threshold voltage Vn + 10% (adjustable). When mains restores, the system in automatic will return to work leaving to each converters its own operation.